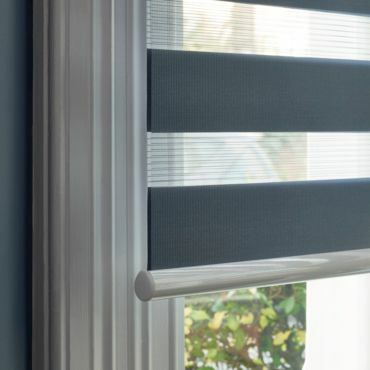 These innovative blinds use translucent and opaque panels for more flexibility over light control. Browse our stunning fabrics and order samples online. We’ll also bring our full range to you at your in-home appointment. These blinds are chain or pull-cord operated, and our advisors will fit child safety cleats as standard. Opting for a motorised option removes the need for chains or pull-cords.